Cute as a button. This cake is iced in pale green, with a blue satin ribbon around the base. 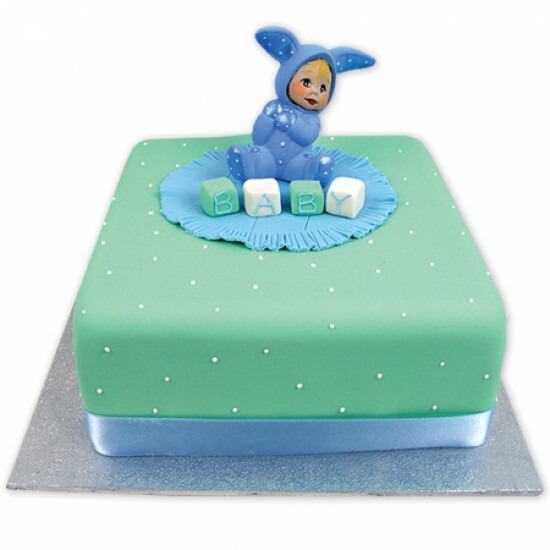 This gorgeous cake is decorated with hand piped, white sugar dots and is topped with a blue porcelain baby ornament which sits on top of a hand made, blue baby mat with sugar blocks spelling out the word 'BABY'.